Product #18618 | SKU TNPT | 0.0 (no ratings yet) Thanks for your rating! This Paralinx NP-F Battery Plate allows you to power your Arrow-X or Tomahawk transmitter with NP-F DV batteries, sold separately. 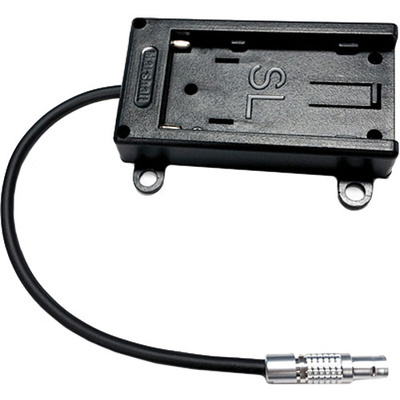 It attaches directly on the transmitter and connects to it via an integrated 2-pin power connector cable. It can also be mounted on the transmitter via the optional Paralinx Sidearm mounting bracket. Note: This battery plate is compatible with Paralinx Arrow-X and Tomahawk transmitter only.